Happy Thanksgiving from Avery Library! We will be closed Thurs. 11/24 & Fri. 11/25. This entry was posted in Access Services on November 22, 2011 by Ted. 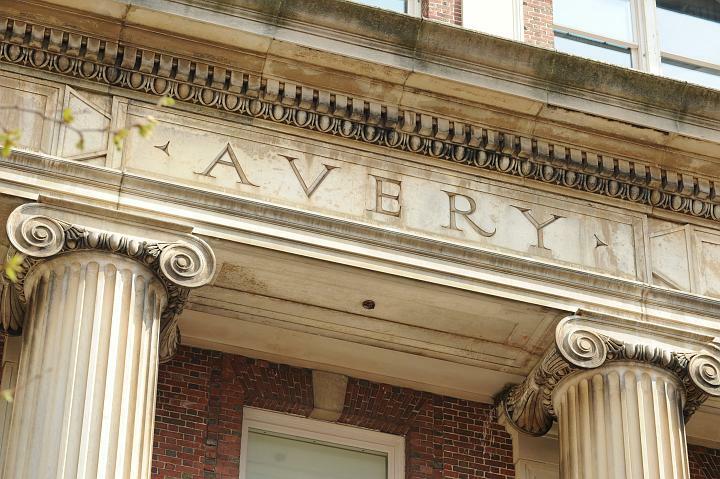 Columbia University Libraries’ Avery Architectural & Fine Arts Library and the Graduate School of Architecture, Planning and Preservation (GSAPP) announce an unprecedented $4 million gift from the Durst family, one of New York’s most respected commercial and residential real estate families. The Durst Organization has also donated Seymour Durst’s Old York Library Collection, which includes books and ephemeral materials about New York City, as well as architectural documentation, including renderings, plans, and photos from the Durst Organization Archives. "The gift of this extraordinary collection and supporting funds will make these valuable New York materials available for research, teaching, and learning not only for scholars at Columbia, but also to a worldwide community of researchers," said Carole Ann Fabian, Director of the Avery Architectural & Fine Arts Library. "Development of the virtual Old York Library– a digitization project that will make the Old York Collection available online — will honor Mr. Durst’s important tradition of collection-building and allow the collection to be used in the curricular and research activities of the GSAPP Real Estate Development program, as well as provide accessibility to public." "The Old York’s collection was fueled by my father’s passion for New York City, especially its history, buildings, and architecture," said Wendy Durst Kreeger, President of the Old York Foundation. 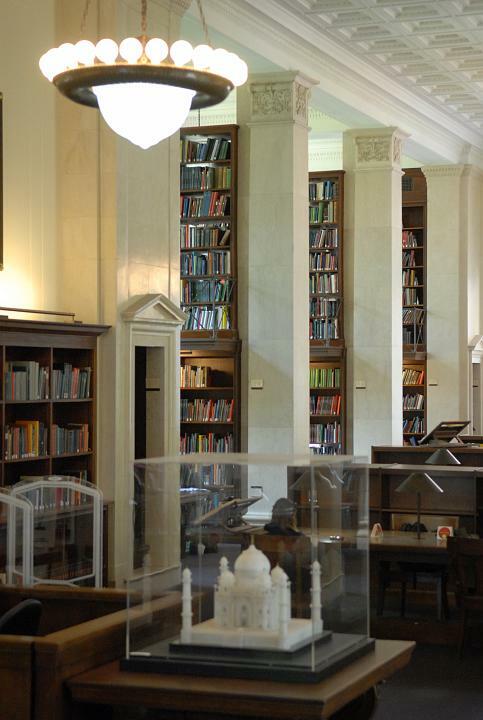 $1.2 million of the gift will be used to catalog and house the collection in Avery Library, as well as to create a digital Old York library to ensure broad access to the materials. Architectural documentation including renderings, plans, and photos from the Durst Organization Archives will also be donated to Avery Library. These documents, which have never before been available to the public, will give scholars the opportunity to further understand the scope of the Durst Organization’s impact on New York City’s skyline and streetscapes. The archives also highlight Durst’s pioneering work in environmentally responsible commercial and residential development. "The Durst Organization’s architectural archives will be an outstanding resource for Columbia University,” said Douglas Durst, Chairman of The Durst Organization. "For nearly 100 years, my family has been assembling, building, and operating real estate in New York City and we have accumulated a vast amount of knowledge and information that will be invaluable for anyone interested in New York’s history and real estate." $1.8 million of the gift will be used to create the Durst Digital Research Laboratory in GSAPP’s Center for Global Design and Development. The remaining $1 million will create the Durst Fund for Research, which will support a series of annual projects at GSAPP’s Real Estate Development Program over the next five years. Each year, students and researchers will relate one aspect of the Durst collections to an important question facing the future of global cities. Through a series of cross-disciplinary activities, such as workshops, seminars, symposiums, exhibitions, publications or short-term visiting scholars, this question will be explored and answered, further advancing the fields of architecture and real estate development. "This historic gift from one of the most established real estate families, not just in New York, but in the nation, is truly transformative for our program," said Vishaan Chakrabarti, Holliday Professor and Director of GSAPP’s Real Estate Development Program and the Center for Urban Real Estate. "We are deeply grateful to the Durst family for this gift and we look forward to a wonderful collaboration to enhance our programs and make our cutting-edge work and research even more accessible to the academic community and beyond." This entry was posted in Avery in the News on November 15, 2011 by Ted. Bwog, the 24/7 blog incarnation of The Blue and White, Columbia University’s monthly undergraduate magazine, recently published an article about Art Properties, a department of Avery Library. This entry was posted in Art Properties, Avery in the News on November 14, 2011 by Ted. Today is Veterans Day. Avery Library has a great deal of material related to monuments, memorials and military architecture. Our Drawings & Archives collection has Henry Ogden Avery‘s competition entry for a memorial for Ulysses S. Grant [unbuilt] as well as drawings by Harold Van Buren Magonigle for a World War I Veterans Memorial in New Britain, Connecticut. Our Classics Collection has a privately printed 1881 pamphlet on the Veteran’s Room at the 7th Regiment Armory in NYC. We also have material on World War II memorials, Korean War monuments, the Vietnam Veterans Memorial and information on military base retrofits. We honor our veterans and their service by preserving this material and making it available for research. 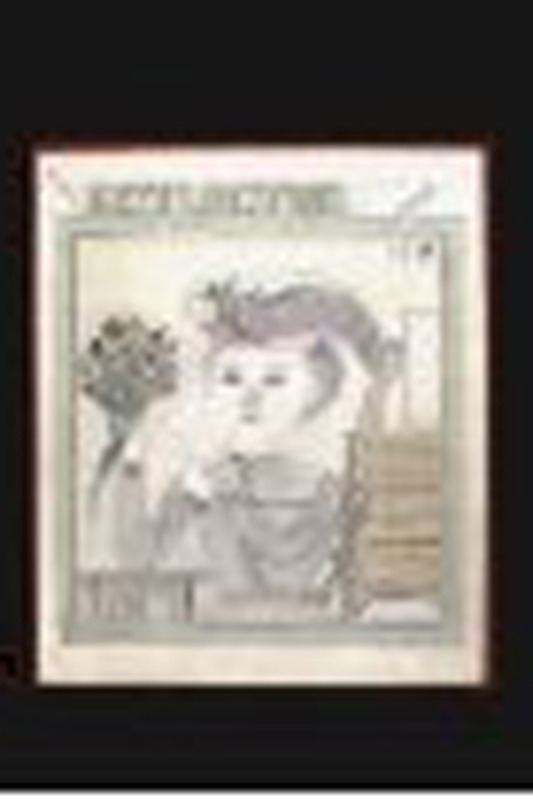 This entry was posted in Avery Classics Collection, Drawings & Archives, Research Services on November 11, 2011 by Ted. In addition to traditional subjects in Art History, Avery Library also collects books on the strange, unsettling world of Outsider Art. Outsider art is a term used to describe art created by untrained artists who create works outside the boundaries of official culture. Munich ; New York : Prestel in cooperation with the American Folk Art Museum, 2009. The iconic American outsider artist is presented here in a new critical light, locating him for the first time as a major figure in the history of contemporary art. Self-taught and working in isolation until his death in 1973, Henry Darger realized an elaborate fantasy world of remarkable beauty and strangeness, through hundreds of paintings and an epic written narrative. 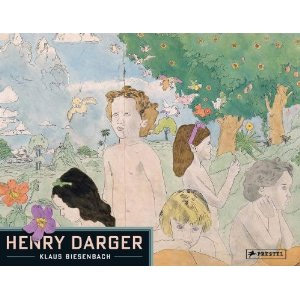 This book examines the radical originality of Darger’s art, including his use of collage, incorporation of religious themes and iconography, and frequent juxtaposition of innocence with violence. Martina Weinhart and Max Hollein, editors. Weltenwandler : die Kunst der Outsider = World transformers : the art of the outsiders. Frankfurt : Schirn Kunsthalle : Ostfildern : Hatje Cantz, 2010. 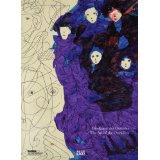 This book presents a wide range of art by artists working beyond the bounds of conventional artistic production, ranging from the nineteenth century to the present day, including the dream worlds of Swiss artist Aloise; the precise mathematical utopias of George Widener; and the "Ewigkeitenendeland" (End-of-Eternities Land) of Austrian artist August Walla. Others represented here are A.C.M., Emery Blagdon, Darger, Auguste Forestier, Magde Gill, Karl Junker, Friedrich Schroder-Sonnenstern, Judith Scott, Oskar Voll, Adolf Wolfli and Birgit Ziegert. New York : Mark Batty Publisher, 2009. First identified in 1943, autism has over the last decade become an international topic of conversation. 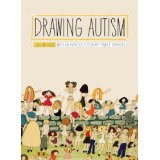 Drawing Autism celebrates the artistry and self-expression found in the drawings, paintings, and collages created by people diagnosed with autism. The work of over fifty contributors exhibits an array of unique perspectives on how these individuals see the world and their place in it. The drawings of the electric pencil. [New York?] : Electric Pencil Press, 2010. Around the year 1910, a patient at State Lunatic Asylum No. 3 in Nevada, Missouri, who referred to himself as The Electric Pencil, executed 280 drawings in ink, pencil, crayon and colored pencil. These beautiful drawings of animals, people and buildings were executed on both sides of 140 ledger pages, each bearing the name of the hospital in official type across the top, thus dramatizing the interface of the institutional and the creative. His many portraits–head-and-shoulders or just heads–feature formal, sometimes dazed-looking men and women with elaborate hats or razor-parted hair who stare out of the page with wide, piercing eyes in a manner that suggests both a possible chilling regime of "mental health" treatment and the unblinking, unsettling gaze of those who haunt the margins of sanity and society. This entry was posted in Bibliographic Services, Research Services on November 9, 2011 by Ted. Andrew S. Dolkart, Director, Columbia GSAPP Historic Preservation Program, and James Marston Fitch Associate Professor of Historic Preservation, will be speaking tonight on "The Acropolis of New York: Creating Morningside Heights" at Riverside Church, room 9T from 6:30-8pm. Sponsored by MHHDC (Morningside Heights Historic District Committee) and Riverside Church, he will also be signing books. This entry was posted in GSAPP on November 2, 2011 by Ted.